Register Online with the Companies Registry, in minutes, NOT weeks! Simply answer a few easy questions, we'll do all the work and securely mail your registration certificate when the process is complete. Quick, Easy, Convenient, Secure and 100% Online. SearchinTT is fully qualified & authorized to legally register businesses, partnerships and limited liability companies with the Government of Trinidad & Tobago (Ministry of Legal Affairs). We've simplified the entire process, put it all online (no footwork necessary), and made it quick, convenient & hassle-free for you. Register online and you'll NEVER have to endure the frustrating manual process of standing in line at the Ministry of Legal Affairs for hours, and going back-and-forth in Port of Spain traffic over a period of weeks. 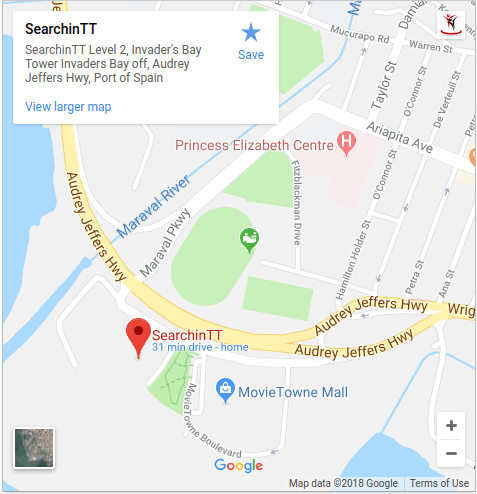 PLEASE NOTE: This page is about registering a Business / Company legally with the Government of Trinidad & Tobago, Ministry of Legal Affairs - Companies Registry; it does NOT pertain to listing a business on SearchinTT. Simply put, We'll take care of everything! Have Questions About Registering your Business? Please Note: Although they are used interchangably, technically, a "Business" is used to refer to a Sole Trader, whereas "Company" refers to Limited Liability. Why do I need to Register my Business? It is a legal requirement by the Government of Trinidad & Tobago. You'll be able to declare tax-deductible business expenses. Being unregistered prohibits you from growing, since you'll have to avoid being noticed by the Government. Banks only allow registered businesses to open an account, which you would need in order to accept cheque and linx transactions. Unregistered businesses cannot do business with legitimate businesses. Only registered businesses can bid on government tenders. If unregistered, another person can register the name that you operate under and prohibit you from doing further business under that name. If you Trade under a business name that even resembles one that has been registered, expect a "cease and desist" letter from their lawyer. Can a non-citizen of Trinidad & Tobago register a business here? Yes, a non-national may register a Company in Trinidad & Tobago, however, the total amount of shares that all foreign shareholders can control is 40%. There are a few more considerations that our Online Business Registration process takes into account, such as the nationality of the directors, and if the Company wishes to operate as an External Company (see below for definition) etc. An External Company (also referred to as a Foreign Company) is one that was incorporated outside of Trinidad & Tobago but is allowed to conduct business within Trinidad & Tobago. Non-nationals can also Incorporate a Limited Liability Company that does not operate as a External one. How to register a Business in Trinidad? Click the green "Register Your Business" button below to get started. Answer a few simple questions (such as the name of the business and owner/owners). Next, select a "Business Type". Then Enter a few more details (dependings on the business type you selected). Check your email for updates & account information, we'll notify you when your registration certificate have been mailed. What is a Sole Trader Business? A Sole Trader business is one that is owned by a single individual, and where the business owner is personally responsible for all debts incurred by the business. Basically, the individual is the business. Many professionals choose to register as a Sole Trader because it is the easiest to manage;. In the United States, a Sole Trader business structure is commonly referred to as Sole Proprietorship. A Sole Trader pays his / her usual taxes - Income Tax, Health Surcharge. If hiring employees, a Sole Trader must also apply for a PAYE number. PS. SearchinTT provides a one-stop hub for all your business needs. In short, we'll take take of everything for you. What is a Limited Liability Company (LTD)? A Limited Liability Company is one that offers protection to its owners, commonly referred to as directors, and is incorporated by multiple individuals. The company becomes a legal entity by itself and therefore pays its own taxes seperately from its directors. Being a legal entity also means that its directors cannot be held personally responsible for the company's debts or liabilities. Think of the Company as its own person. Limited Liability company names are given the "Ltd" suffix in Trinidad & Tobago. In the United States, the suffix is LLC. 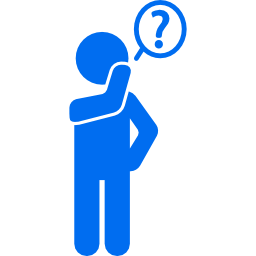 A Breakdown of the phrase: "Limited Liability Company"
Limited A Restriction on something. A Limited Liability Company is a business that restricts liabilities. What is the difference between a Sole Trader and a Limited Liability Company? Here are some differences between a Sole Trader and a Limited Liability Company. One owner makes all the decisions Multiple directors share the responsibilities of decision making. Individual owns 100% of the business and keeps all of the profits Profits are shared amongst all the directors; although profits are usually kept in the Business' account, and the directors draw a salary. The owner is the Business; they are considered the same entity The Company is considered to be a seperate entity from the individuals that own it. A Sole Trader company ceases to exist when the owner dies, retires or sells the business. A Limited Liability Company can go on indefinitely and has an operating agreement that makes provisions for continuing the company in the event of an owner's death, resignation or retirement. The owner's personal assets are the business' assets The owners' personal assets are protected. The Company has its own assets. Which Type of Business should I choose? If you're a professional who's looking for a quick & simple start, then choose Sole Trader. If you already have co-owners / directors in mind that would like to join your business venture; or you plan to start-off with an establishment and employees, then choose Limited Liability. Can I convert a Sole Trader Business to a Limited Liability Company? Definitely. In many cases we advise that single-owner businesses start off as a Sole Trader and evolve into a Limited Liability Company. What do I need in order to register a Business? A Valid form of ID - Our Online Business Registration process allows you to pair your mobile phone and snap a picture of your ID; alternatively you can scan your IDs with a scanner if you have one, then upload the image. 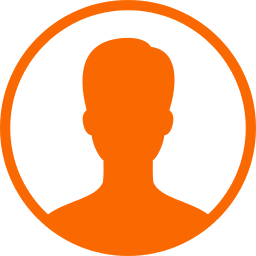 A Valid form of ID for each director - Our Online Business Registration process allows you to pair your mobile phone and snap a picture of your IDs; alternatively you can scan your IDs with a scanner if you have one, then upload the image. How long does the Online Registration take? Our Online business registration process can take roughly around 5 minutes for Sole Traders and 10-15 minutes for Limited Liability Companies. What is the cost of Registering a Business? A sole trader business cost $135 USD ( Approx. $891 TTD ) whereas a limited liability company cost $455 USD (Approx. $3003 TTD); This price includes all the fees (Preparation of documents, name search, name reservation, Government / Ministry of Legal Affairs Company Registration; Local shipping is Free). What is the Ministry of Legal Affairs? (IPO, Intellectual Property Office) Registration of Intellectual Property, Copyrights, Patents, Trademarks etc. (Civil Registry) Births - Registration of Births / Birth Certificates etc. (Civil Registry) Marriages - Issue of Marriage Licenses etc. 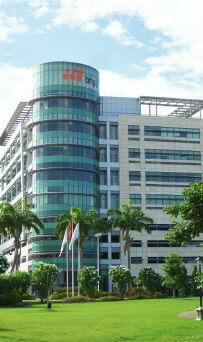 The head office is located at 72-74 South Quay, Port of Spain. Not to be confused with the regular Secretary (an Administrative Assistant), the Company Secretary or Corporate Secretary is a senior official (male or female) on the board of a company that deals with financial and legal issues. What is a Tax-deductible business expense? SearchinTT provides a one-stop-shop hub for all your business needs. We'll take care of everything for you; Simply start the process by clicking the button below.